This year’s Club Triathlon Championship was held for the third year at Fritton Lake. 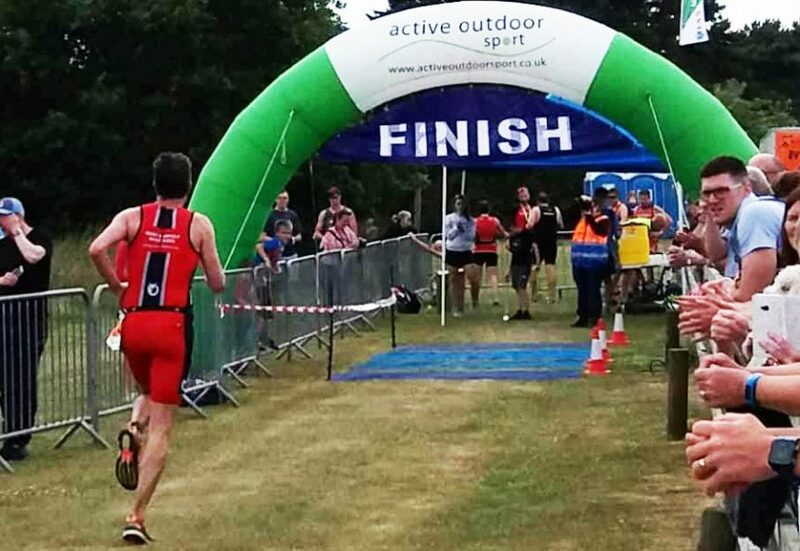 The Fritton Lake Triathlon Festival has a unique challenge of three triathlons in two days. Over the two days competitors can complete in a Standard, a Sprint and a Super Sprint Triathlon distances or do all three in less than 48 hours. 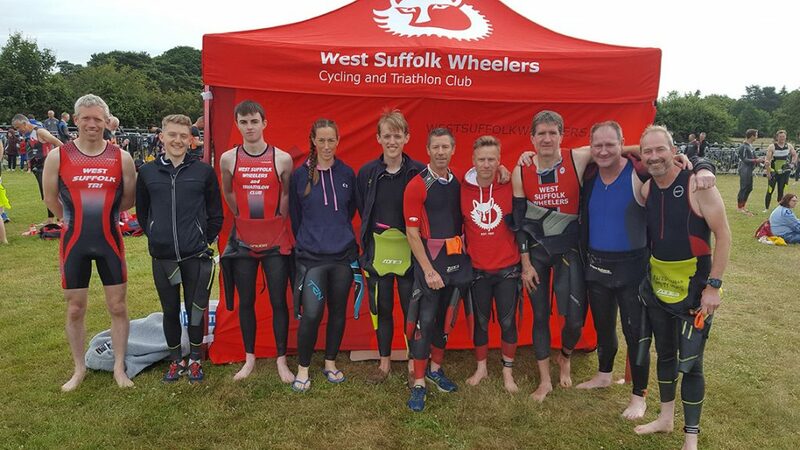 The events is based in Somerleyton Estate with an open water swim in the beautiful Fritton Lake, a bike section on public roads around the estate & the run on woodland trails; this was a fabulous event which the Wheelers relished. In total, 15 triathletes took part over both days with 3 completing the triple challenge! 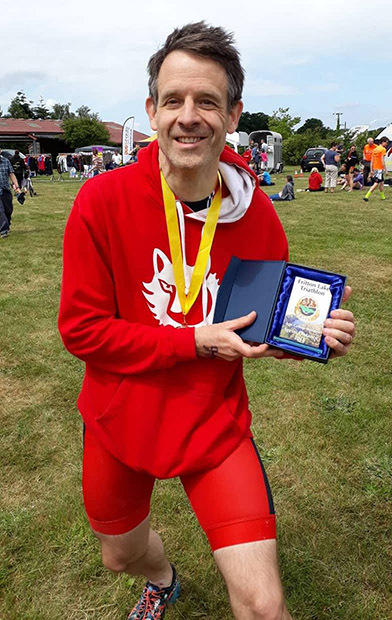 Outstanding performances were lodged by Clement Wallace winning his age category in his first Olympic distance triathlon, Phillip Clarke for his first in age category (IAC), Laura Brown for her IAC win in Sprint and 2nd place in the Super Sprint events and an IAC win for Malcolm Mcfarlane in the Sprint event. 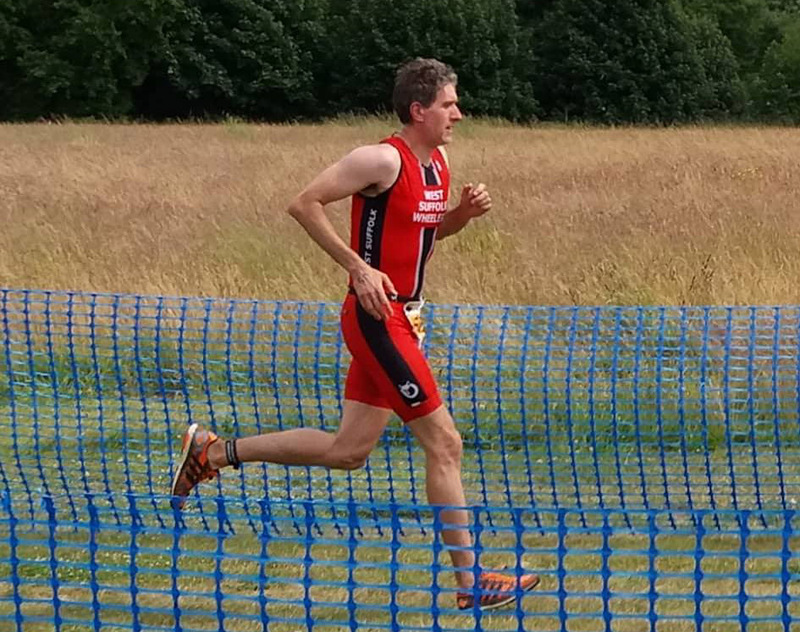 The weekend kicked off with the Sprint distance race (750m swim, 20 km bike, and 5 km run) with the quickest competitors expected home in times just over an hour.. The weather was perfect with light winds and a dry course. Six Wheelers were racing for this one as part of the Triple challenge. After a swim in 20°c waters of Fritton lake, it was an uphill run to Transition 1. Bikes were picked up and the ride headed out through the rolling Norfolk countryside. At the end of the ride, coming to the dismount line Malcolm Macfarlane took a hard tumble into the gravel, but without a second thought for the pain continued onto the 5 km run. The run was a two lap course on a sapping grassy surface, but saw some good times by all. 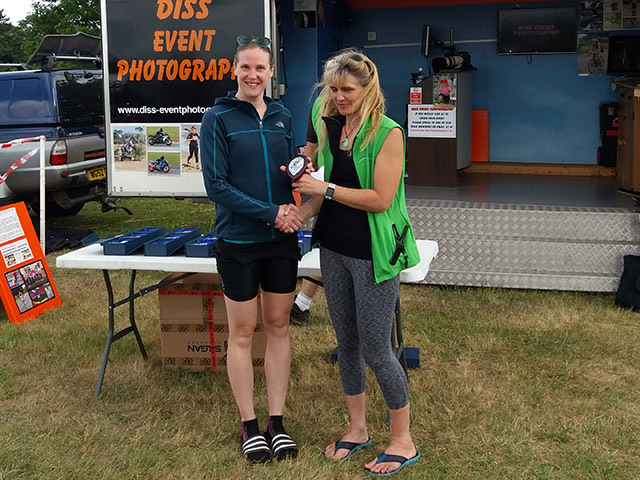 Later at the prize giving, Laura Brown picked up her trophy for the age group win, followed by Malcolm Macfarlane, who’s tumble didn’t prevent a well earned victory. Race two later that day was the Super Sprint. Just five Wheelers racing as Malcolm had to sit out due to his injuries. The Super Sprint is a fast and furious race that takes you to the edge of exhaustion. The 400m swim, 16 km bike and 2.5 km run are at full tilt, with no room for a let up anywhere. This was a close run thing between the Wheelers, with some great head to head racing, pushing everyone to their limit. Day Two saw 10 Wheelers in action over the Olympic course of 1.5 km swim, 40 km bike and, 10 km run. This was a big step up for many competing today; for some it was their first Olympic distance and for others their first triathlon of any kind. With everyone having a good swim time and exiting the water within a minute or two of each other, it was back up the hill to T1 for the start of the two lap bike course. After just 10km of the first lap Ray Reeves hit a pot hole and snapped his handlebars. Good handling skills meant he managed to stay on and get back, sadly though a DNF for the race. New Wheeler Daniel Ward had one of the fastest bike splits of the day, and finished with strong run, as did Clement Wallace. Both won their age groups convincingly. This was a great weekend of high level racing and all Wheelers raced hard and were well up in the overall rankings. One highlight among many was that we may have found a new star in Clement Wallace – winning his age group in his FIRST triathlon, definitely one to watch.